PHILADELPHIA (AP) — The infernal fire that has blazed beneath cynical detective John Constantine for years is being extinguished. The chain-smoking British occult detective, long a staple of Vertigo's "Hellblazer," is getting what promises to be a duly deserved send-off as the title ends at No. 300 in February. But Constantine, a somewhat sorcerer more at home fighting demons than socializing with people, won't be fading away with the title's end that is being written by longtime writer Peter Milligan and illustrated by artists Giuseppe Camuncoli and Stefano Landini. Instead, the ending is a beginning of sorts for the character. That's because writer Robert Venditti, a best-selling author whose works include "The Homeland Directive," will launch "Constantine" with artist Renato Guedes, a new series from DC Comics focusing on the detective's adventures in the relaunched DC universe. 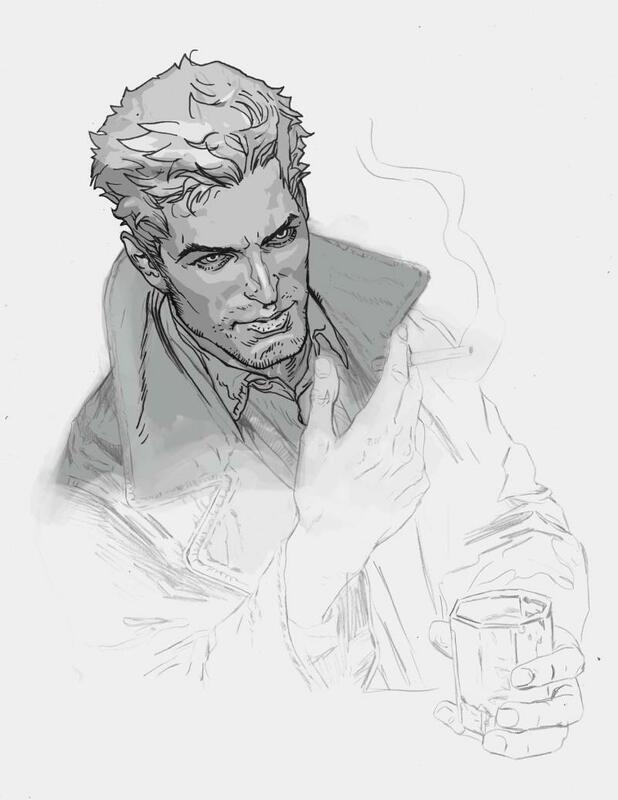 Fans of Constantine will still see elements of the man they've come to know since "Hellblazer" began in 1988, Venditti said, but there will be changes along with the familiar aspects, too. "He's going to be the same age that he is in Justice League Dark and the same character that people know and recognize — the drinking and smoking, the con man aspect of him — that's going to be very much part of the series," he said. Venditti likened the challenge of writing John Constantine, whose long history has led to a devoted fan base, to that of his critical and commercial success in reviving Valiant Entertainment's X-O Manowar this year. "The mission is very much the same," he said. "While I'm aware of all the rich history, I can't look at it from 'How am I going to compete with that?' I am going to come to the book and tell the best stories that I can." At the same time, Venditti said he's writing the character in a way that's like an onion, albeit a supernatural laden, cigarette smoking roustabout with a jaded outlook on life. "I like the idea of him being so layered. There's always machinations going on underneath with Constantine and that's what makes him such an enjoyable character to read and write," Venditti said. "He is devious, he is underhanded and he's a very big-picture oriented guy," he said. "When you're dealing with things like demons running loose on earth, you need to be that way."